Frozen water bottle. 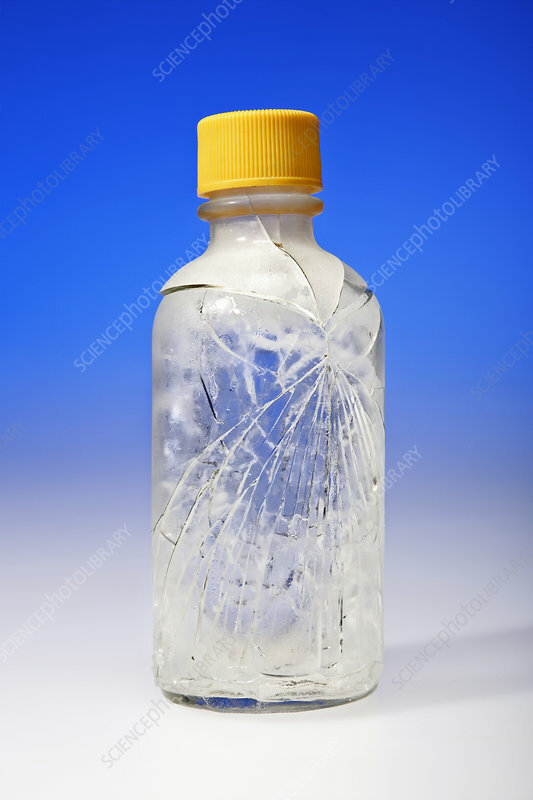 Water expands when it freezes and has therefore cracked the bottle. Image 2 of 2.